Bulbuls occur mainly in forest and wooded areas across Africa and Madagascar, north to the Middle East and Japan, and east to the Philippines and Indonesia. Except for recently introduced species, there are no bulbuls in the New World. Of the roughly 120 species, there are 27 species in China. About 52 species (in 11 genera) are African, and bulbuls are widely distributed across that continent, being absent only from desert regions. 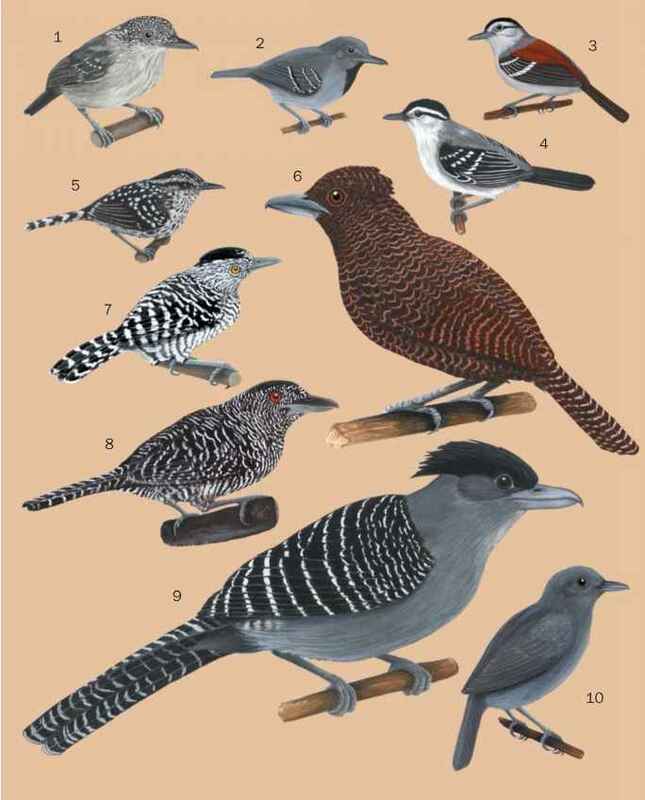 Nine genera are found exclusively in Africa, and two of the larger genera (Pycnonotus and Criniger) are found in both Africa and Asia. The most ubiquitous of the Pycnonotus species is the common bulbul (P. barbatus). This bold and noisy bird is well adapted to man-made habitats and is one of the most widespread and abundant birds in Africa. Many bulbuls are endemics and have quite restricted distributions, especially those on oceanic islands. The yellow-eared bulbul (Pycnonotus pencittatus) is found exclusively in the montane areas of Sri Lanka; the Nicobar bulbul (Hypsipetes nico-bariensis) occurs only on the southern Nicobar Islands south of Burma. Others are widespread and common, the yellow-vented bulbul (Pycnonotus goaivier), occurring from southern Vietnam to the Malay Peninsula and the Philippines, is probably the most commonly seen bulbul of the region. An opportunistic bird, it is often seen around gardens, feeding on food scraps and using potted plants to nest in. 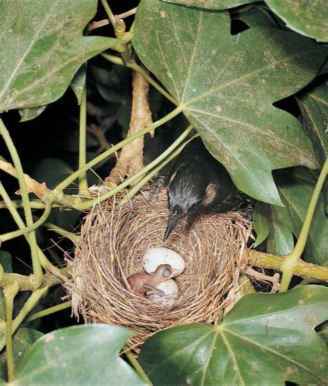 vented bulbuls (P. cafer), were introduced to the Hawaiian island of O'ahu in the late 1960s. Populations of both birds have dramatically increased. Red-vented bulbuls are now found across the island, while the red-whiskered bulbul is found throughout southeastern areas. These birds are considered serious pests and threats to native bird populations.